Welcome to Elite Upholstery and Design Ltd.
Who and where we are. Elite Upholstery and Design Ltd are situated on Parkhouse Industrial Estate West, Newcastle-under-Lyme. Our convenient location not only enables us to provide our services through out Staffordshire, Cheshire and the surrounding areas, but also the whole of the UK. We are a well-established company that offers over 40 years' of experience in the Upholstery & Re-upholstery industry. Our skilled team combines experience, knowledge and modern technology to provide you with a personal and professional service and a finished product that you can be proud of for years to come. In our modern workshop, we produce hand crafted upholstered items to exact measurements and to your own personal specification, so we can provide a finished product that is totally bespoke and second to none. We specialise in all aspects of Upholstery and Re-upholstery design. Whether it is bespoke sports motor cruiser upholstery, yacht upholstery, speed boat upholstery, sports rib seating, narrow boat upholstery, horsebox interiors, motor-home interiors, caravan interiors, car upholstery, classic or contemporary furniture, soft furnishings or a major refurbishment, these are only a few of the products that we excel in producing. Why not take a look at what our previous satisfied customers have said about our work? Our testimonials page can be both reassuring and provides peace of mind. Please feel free to take a look around our site to see what we can offer you. If you require any more information or advice, please do not hesitate to contact us. We are only a phone call or e-mail away, so why not get in touch with us today? We provide free estimates and advice on all our products, and all of our work is guaranteed. 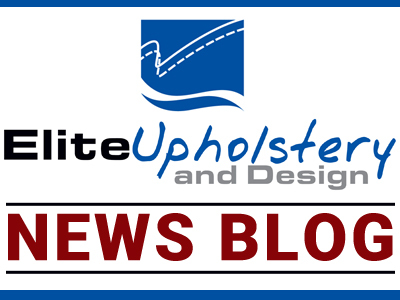 Elite Upholstery and Design Ltd.
© 2019 Elite Upholstery & Design Ltd.